We must say that despite the term “oil”, essential oils are not vegetable fats, lipids. The fact that they have been called oils has not to do with their fatty nature but with their hydrophobic / lipophilic nature, and with the fact that once distilled they easily separate from the water and dissolve easily in oil. And why “essential”? There have been other names, such as ethereal or volatile oils, which clearly identify the volatile nature of the substances and the intangibility of the aroma that emanates from them. But there is no doubt that the term essential is the most commonly used, and so it is worth clarifying its origins. Many authors justify this use by saying that the essential oil performs essential functions in the plant, or that it is the essence, the totum, of the plant, or that it plays essential functions in the body. I will not expound on this topic right now, because I am planning to write a new post entirely on this, but I will only mention the origin of this term. 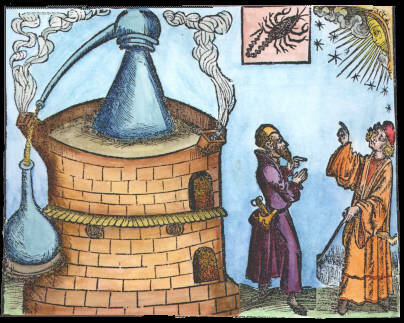 The term dates back to the Renaissance period and depends on the development of distillation techniques in the framework of alchemy. 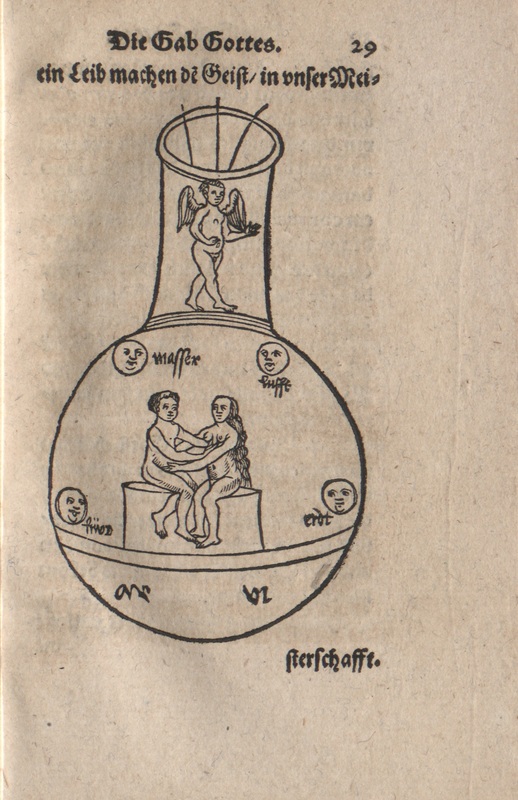 The alchemists, since ancient times, had developed the concept that the four elements of the Galenic-Humoral theory contained in them a fifth element (the quinta essentia, or consciousness, thought, love, universal ether) that alone could explain the different propensities of said elements. Distilling, according to the alchemist, “is nothing other than purifying the gross from the subtle”, splitting the non-volatile from the volatile, and was intended to unveil the quintessence in every earthly manifestation, to make incorruptible the corruptible. Today we still use the verb to distill to mean “to extract the essential meaning of something”. After all, it is another way of talking about the fire of skepsis, that by burning the inessential reveals the essential. As it can be seen, the author identifies the true quinta essentia with the aromatic molecules dissolved in the water, and not with the “resinous” principle that probably identifies what we call essential oil.